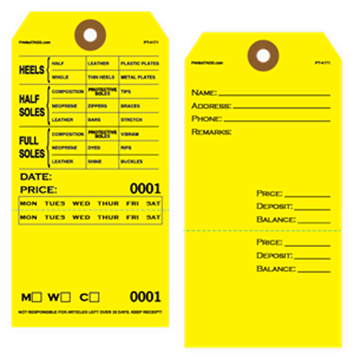 Customer satisfaction is everything in the service industry. 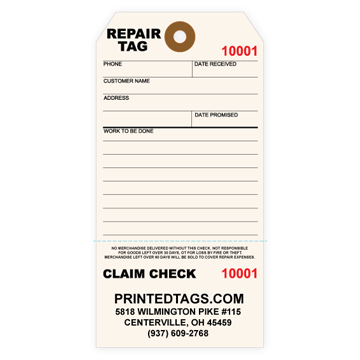 Keep yours happy by tracking their belongings with printed claim check tags. 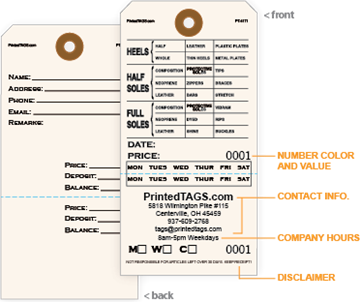 No more misplaced luggage or clothing items when you have a stock of claim check tags. 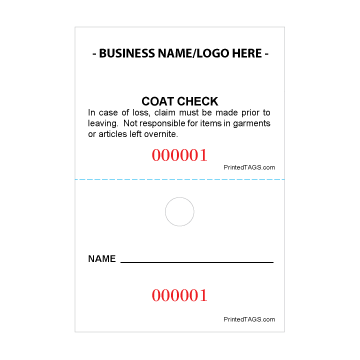 Available features include consecutive numbering and perforation. 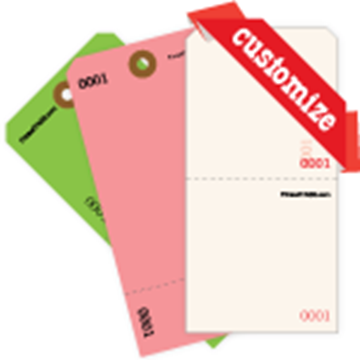 Give the separated stubs to customers for a quick and easy claim process. o Don’t see what you’re looking for?